At TU Delft, we do research into the value of exergy analysis in sustainability assessments of future energy supply systems. A major challenge in striving for a more sustainable society is the selection of technological systems. In order to assess which technological system is preferable, the loss of work potential, also known as exergy loss, can be compared for various technologies. Exergy analysis is a thermodynamic assessment method that makes visible where work potential is lost. The smaller the exergy loss, the more efficient a technologies works, in terms of resources and energy use. From a sustainability point of view, it is important to use exergy wisely. 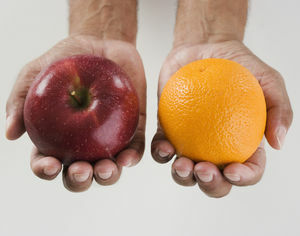 However, exergy analysis is not part of the regular sustainability assessment methods. For research on smart grids we team up with the TU Delft PowerWeb Platform, that comprises the integrated study of the underlying physical systems (hardware), the design of smart energy management systems (software), and the study of smart grids in relation to their societal and economic environment (peopleware). The aim is to model and design ICT systems that integrate energy production and consumption services in a robust way. The major research challenges are the accurate prediction of supply and demand. We need to develop learning algorithms and advanced control systems to manage the uncertainties. The energy transition requires much more efficient energy use and a matching of energy demand and supply. At a household level, this can be achieved through smart home appliances, and at a local level via smart grids. Smart meters and thermostats are already widely installed, but their potential is not fully exploited yet. Whereas home owners with solar panels often embrace smart meters to monitor the own energy production, many citizens are suspicious of the use of personal data. Future energy systems therefore need smart systems for monitoring and control, the underlying models need to be optimized constantly, and the ethical use of the data needs to be ensured. Consumers participation is key in the successful implementation of these systems. At TU Delft we work at research challenges related to smart energy systems: advanced energy diagnosis systems and self-learning and self-optimising energy management systems. 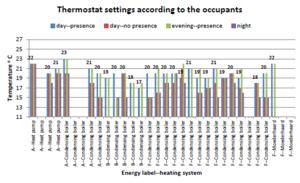 In our optimisation studies, we target multiple levels, next to energy use also comfort, air quality and costs. We make use of big data for real-time performance assessment and a better understanding of occupant behaviour and energy rebound. In all systems we develop, we safeguard the user’s privacy by design. 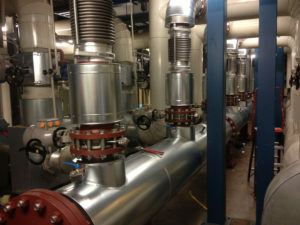 TU Delft’s campus heating network is connected to 23 buildings and used as a ‘living lab’ to demonstrate the transition of a conventional district heating grid towards a renewables-driven fourth-generation district heating network. The first step involves an anticipative and peak-shaving control strategy to minimise the supply temperature, which is necessary to integrate a future geothermal source into the network. This first step already showed a 20% reduction of natural gas consumption without having to make any large-scale modifications to buildings or heat sources. 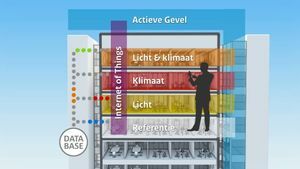 An office building in Rijswijk is used as a test environment to demonstrate how an energy-neutral office can be achieved through using the Internet of Things (IoT) and smart controls. TU Delft has been working on how to use the data collected by the IoT platform to design self-learning controls that reduce energy consumption and increase comfort. The Dutch Government Real Estate Agency (Rijksvastgoedbedrijf) has established the test environment in Rijswijk as one of the initiatives in the Green Technologies 3.0 programme. Smart-meter data at several aggregation levels (place and time) support the development of better prediction models for energy consumption in dwellings. With these models, based on actual energy use and behaviour, much more accurate energy savings potentials can be determined at the house, block or neighbourhood levels. Thermal sensation data and diverse physical parameters are gathered in real time in order to learn about the occupant’s wishes and behaviour. TU Delft explores this topic in various projects with multiple industry partners.